Since her childhood, Elena Tsvetkova has been stretching to everything beautiful (which is not surprising for the residents of the northern capital). Today, her Jewelry House in St. Petersburg successfully sells jewelry to Russian buyers and showbiz stars. The flower is the main element of Elena Tsvetkova jewels. The main artist and designer (as well as the owner of the brand) loves flowers in all its forms. Woven from multicolor ikrustatsii or simply painted with colored enamel, field and garden, gold and silver – they all find a place in the collections of the house. Some items produced under the Elena Tsvetkova brand are not at all decorations in the traditional sense. These are flower arrangements of carved stone, like those that Carl Faberge himself once produced. In general, in her works, Elena Tsvetkova demonstrates loyalty to herself and her pre-revolutionary teacher. The touching patina of the museum in its jewelry will especially appeal to older Russian women. The Moscow colleagues of Tsvetkova from Estet Jewelry House, on the contrary, are inclined to the merchant ideas of beauty that are traditional for rich Moscow. Large, somewhat fanciful forms of their jewelry can be learned from thousands. The house does not skimp on rare ideas and materials for its works: large rubies, emeralds, sapphires in a lush diamond inlay, rich in gold decor, resembling either an Indian ornament, or kitschy rococo – in all this the notorious “hand of Moscow”. It is not by chance that Estet House chose a social lion Elena Lenina as a partner, embodying the ambiguous brilliance and courage of the Moscow beau monde. Estet jewelry is exceptionally good when combined with sable and marten furs, symbols of merchant wealth and luxury. Purely Russian understanding of beauty as abundance and flashy riches runs like a thread through the collections of the House “Estet”. But not everyone likes this “beauty.” For example, capital jewelers from J’Art company openly protest against the desire for luxury. The conceptual collection Open! J’Art, released by them (in collaboration with a number of designers) a few years ago, is still popular with those who are prone to expensive outrageous shocking. 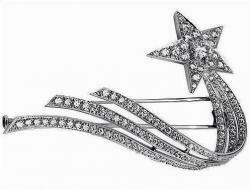 At the heart of the collection is a contradictory desire to expose the diamond as a symbol of luxury. “Down with diamonds!” Is a slogan that paradoxically embodied in a collection of gold jewelry … with diamonds! Dear stones undergo a uniform humiliation with the help of a hooligan design of jewels: they are put in a golden cage, surrounded with cheap but equally shiny cubic zirconias, they encrust the “wrong side” of jewelry instead of “face”, etc. At the same time, the jewels themselves explain what is happening to the future owner and the casual observer with the help of clear phrases or symbols engraved on their shiny surface … In a word, the J’Art pranksters gave a fitting rebuff to the capital’s glamor. However, the remaining collections of the company preach quite traditional European aesthetics of our days. Which is also not bad. Many Russian brands are so successful that they have already managed to make a name for themselves abroad. Some of this pushed fate. For example, Muscovite Alexander Laut, who produces jewelry under his own name, left the homeland in his youth and took place as a jeweler and gemologist in the United States. For several years now he has been a citizen of the world and has conquered him with his ornaments, in which the first violin is played by exceptional, sometimes collectible, stones. 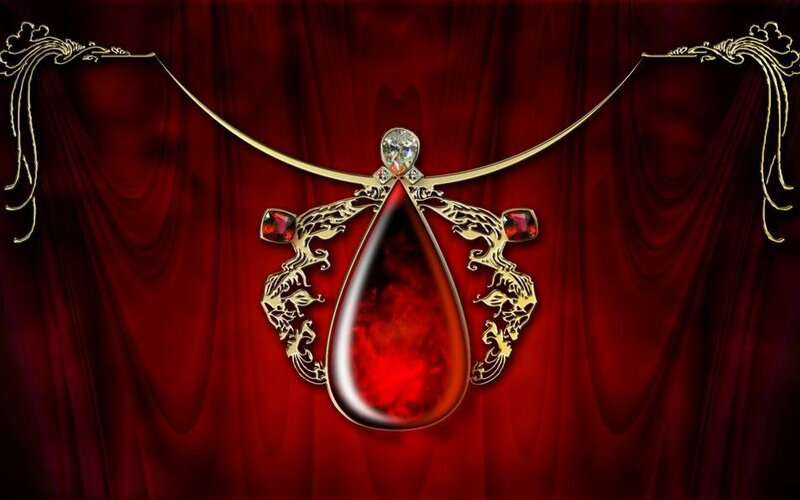 Lauta’s passion for rare, high-quality rubies, emeralds, sapphires can be seen with the naked eye. The design of jewelry is entirely subordinated to the main semantic note – a large stone in the center of a ring, necklace or brooch. Recently, the designer is very keen on Paraib tourmaline – stones that resemble saturated aquamarine with a pleasant electric sheen in the depths. In general, the Lauta collections give out more of a gemologist than a jeweler. The natural beauty of the stone eclipses modest design ideas in the jewelry of this brand. But fans of the brand are exactly that and the road decorations from Alexander Laut. Unlike his colleague, gemologist-jeweler Mikhail Osipov consistently overcomes the force of attraction of stones. Although precious stones and the main thing in the collections of the brand OM-Jeweller, however, design, creative design, creative idea play an equally important role in jewelry. Osipov freely swims in the ocean of artistic traditions, choosing for his work European solutions or turning to Russian culture, folk and noble. 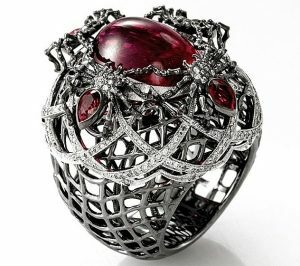 Higher mathematics of jewelry art is demonstrated by the Russian brand Jewelery Theater, world-famous in narrow circles. The name of the brand speaks for itself: with the help of precious stones and metals, the company’s jewelers put a real performance in miniature. Every piece is a drama. The very first collection of the Jewelry Theater, shown back in 1998, literally disarmed the viewer: then the head and creative director of the company Maxim Voznesensky created a series of jewelry objects, each of which is a mathematical idea.